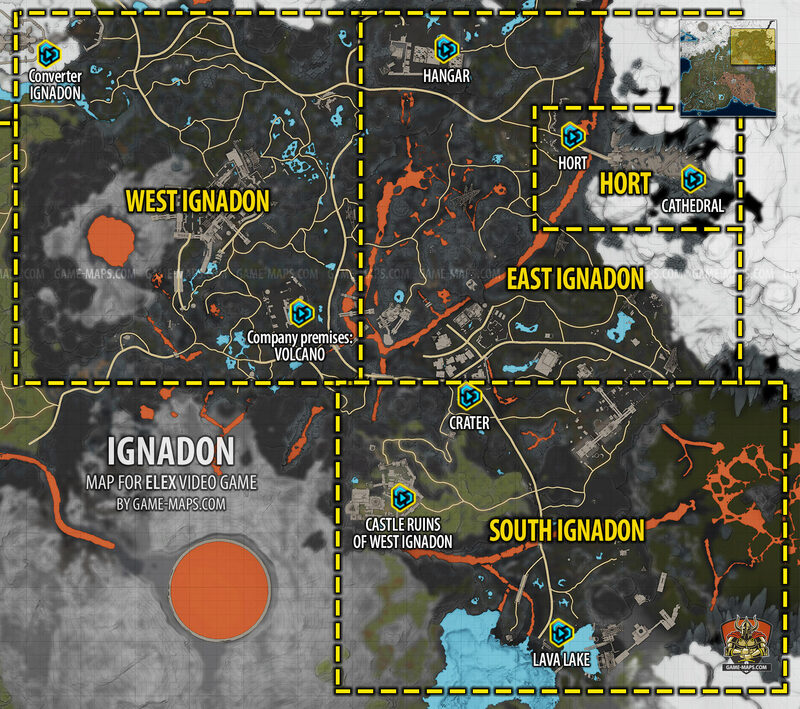 Map of Ignadon Region in Elex Video Game. Ignadon it is land of Clerics Factions. ELEX Walkthrough, ELEX Maps, ELEX Guide & Wiki. The Hort - Clerics Quest Hub, use Teleporter near Domed City to go there. East Ignadon - Hangar, Hort, Cathedral. West Ignadon - Converter in Ignadon, Company premises: Volcano. South Ignadon - Crater, Castle Ruins of West Ignadon, Lava Lake.